In 1955, J.L. Mackie, in Evil and Omnipotence, formulated the argument against the existence of God that still resonates in free thinkers of today, and can not be ignored. Why can't it be ignored? Firstly, if you don't know both the argument and the answer, if there is one, to the argument, your faith is not well founded and it will be difficult to pass on. Second, if what you believe is true, it can and should stand up to tests. 1. God exists, is all good, all knowing, and all powerful. 2. Such a being has no limits to its ability. 3. A good being will always eliminate all the evil that it can. 4. Evil exists, so God must not. Scientist are taught to look at all the assumptions before you even start an experiment or proof, for if you start your project on shaky or weak ground, your final product is already weak and shaky. So lets look at this proof, from a non Christian perspective, since it is non Christians who believe it. 1) Do you accept that if God exists, he is good, all knowing and all powerful. I do, because the word of God says so, so it is easy to stipulate this one. 2) Such a being has no limits to its ability. Yes? No? 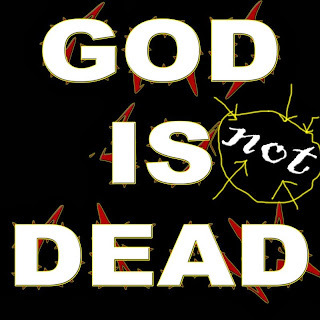 Is God limited. On the surface, I would say no, siting the same source, the Word of God. However, the first assumption states that God is Good. That means he has a moral code that he follows. If he breaks this code, he is not longer good. A logical conundrum for this argument. So no, 2 is not totally true. God, as all moral beings do, constrains his actions. 3) A good being will always eliminate all the evil that it can. Wow. That's humanism, not theology. No where does the word of God say that he will always, at all times, eliminate all evil. Rather, the world tells us that he can not tolerate evil and that evil must be separated from God. As in not near him. If God eliminate all evil, then there would be no free will or no relationship, and we know that both of these things are the inheritance of mankind, with respect to our relationship with God. So, NO, #3 is just wrong. 4) Based on #3, evil exists so God does not. The mistake is #2, that God has not moral code. If his moral code disallows evil, then this argument is true, but the bible never claims that God disallows all evil. In fact, his moral code includes that he keeps his word, his promises, and one of them is free will. He also wants relationships, but he can not stay in same area as evil. That is the problem of God. Not that evil exists, but what to do about. When you toss the assumptions, #2 and #3, the conclusion is baseless. So, on the basis of this argument alone, God is still kicking. Labels: God allows Evil, God is Dead, Why God allows evil.